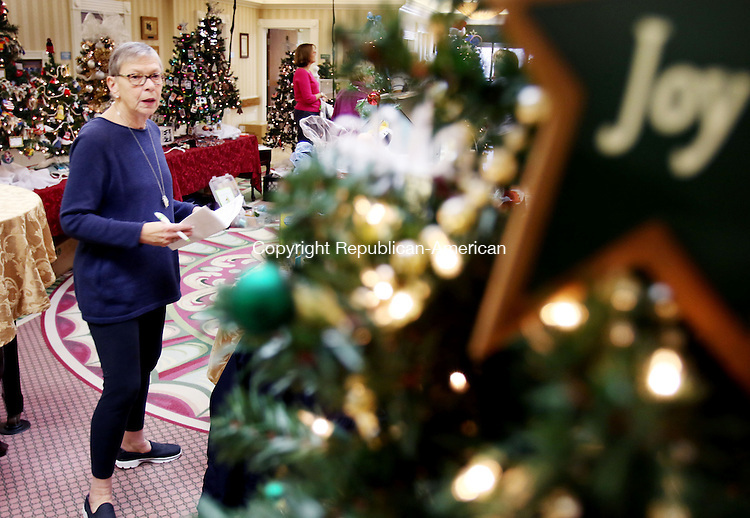 TORRINGTON CT. 23 November 2015-112315SV03-Judy Addazic of Torrington, festival of trees committee, checks off the finished trees at Valerie Manor in Torrington Monday. The annual Festival of Trees kicks off Tuesday with a preview party. The event raises money for LARC.